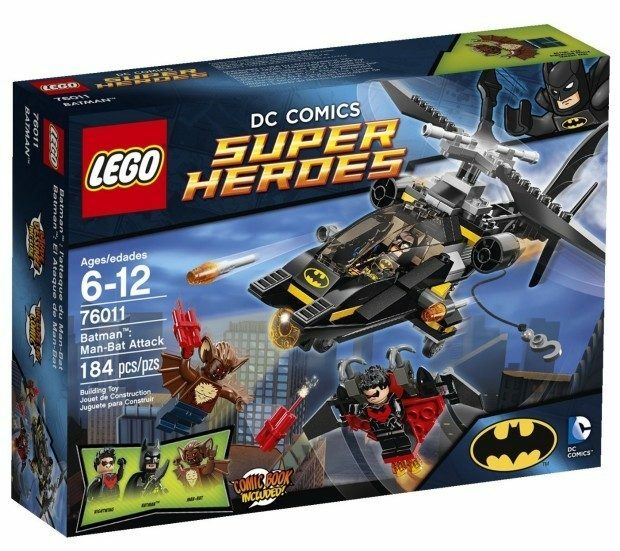 LEGO Superheroes Batman: Man-Bat Attack Just $15.94! You are here: Home / Great Deals / Amazon Deals / LEGO Superheroes Batman: Man-Bat Attack Just $15.94! Head over to Amazon to order this highly rated LEGO Superheroes Batman: Man-Bat Attack Just $15.94! Shipping is FREE on orders of $35+ or if you are a Prime member! Attach the hook to Nightwing’s glider and lift him to safety! Dodge Man-Bat’s dynamite! Fire the flick missiles and stop Man-Bat’s dynamite attack!